Last week, intrigued by the ‘Pirate Manifesto’ that hit the web, we trawled the turbulent seas of digital piracy and learned that there’s much more to piracy than blatant theft. We know that record labels can get caught up monitoring sales performances with online stores like Juno, iTunes or even last.FM. We also know that the recording industry has been blaming pirates for so long, that we have overlooked their innate use. As both potential customers and competitors, pirates remain in the unique position of being able to show us the voids in our digital distribution strategies that need to be filled. 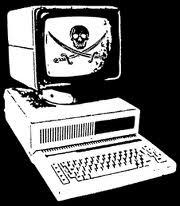 Our first five lessons, gleaned from piracy, showed us what countless graphs and surveys have showed us: that pirates are reasonable people, they are still willing to pay (reasonable amounts) for music, they just don’t want to have to wait six weeks until they can finally own a song. Where possible, avoid staggering international release dates. Similar to on air/ on sale, if tracks are not available in certain countries on legal services, people will find alternative ways to acquire them. This means that releases should be staggered as little as possible, with licensing issues and territorial restrictions being accounted for BEFORE the release to ensure that no countries are left out in the cold. DRM free releases create freely movable content. Labels, for the most part, are licensing music downloads free from DRMs. However, some retailers, such as iTunes, insist on particular format demands which restrict what devices content can be accessed on. You should, as much as possible, provide content that is easily converted in order to get rid of those pesky access issues, that pirates are so good at solving. When you’re live, capitalise. Record executives must not disregard the possibility of capitalizing on merchandise at gigs and concerts and merchandise. Instead of relying so heavily on digital sales for profit, they must realise that live performances are filled with fans, making gigs a great time to increase email sign-ups, sell merchandise and other work. Open yourself to more opportunity. The business is quite literally inundated with music start-ups, apps and software, all of which, can help you to get your word across. Without being tasked with Facebooking, Tweeting, SoundClouding and Whatever-is-newing, all day long we suggest paying special attention to monetisation-related announcements. YouTube, for example, allows monetization on all instances of your content, while new start-up OMP3, allows anyone to create a music sharing site to the benefit of both the rightsholder and site-owner. Live performances are the key. The final lesson from piracy is simple: A great live performance will connect you with your fans in a way that is 100% irreplaceable by pirates. We hope that these pirate-inspired lessons will help you to dominate the iTunes and Beatports of this world, by showing you how to fill the voids in your own distribution and promotional strategies before it can be done by others. The digital industry is still growing and expanding and provides much opportunity for your sound to be heard. It continues to grow in promising directions, with more and more opportunities for monetisation possible, YouTube, for example, allows you to make money from ALL instances of your content, authorised or not. So stop crying about piracy. And strategise with pirates in mind.